Pop melodies that make your mind soar. After releasing the LP 'distance' Ceremony now keeps up the spirit of true rock'n'roll by their new EP called B I R D S. Everyone left with the feeling of wanting more after listening to their last release will have satisfaction with the new 5 songs EP. Say thank you to Emerald & Doreen for spreading out Ceremony's love to different horizons. the band: From: Fredericksburg | VA, USA Genre: aggressive, rock, shoegaze Well known for its outstanding mixture of aggressive, rock and shoe-gaze the band keeps the spirit of the legendary band skywave (John Fedowitz, Oliver Ackermann, Paul Baker) going. Ceremony was formed in 2005. Since then the band toured the East Coast/USA several times and played two week in Tokyo/Japan. Moreover Ceremony played some very successful shows in Germany, Italy, Denmark, The Netherlands and France. 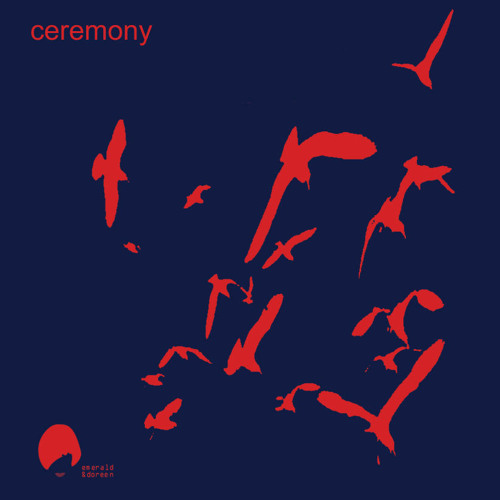 Ceremony is always mentioned in the same sentence with other well known bands like A Place To Bury Strangers and The Vandelles. But only Ceremony has that irresistible sound reminding of 60's girl groups, 80's pop and 90's shoe-gaze. Fans all over the world love Ceremony for outlining profound feelings we've all experienced in their catchy melodies. It's about love! Check out Ceremony on facebook! Buy Ceremony - Birds EP - OUT NOW!!! Users who like Ceremony - Birds EP - OUT NOW!!! Users who reposted Ceremony - Birds EP - OUT NOW!! !